US Presidential Election 2016: What do the bookies say? Social networks & media publicity are cute but money talks & the place to go to when it comes to politics & money are the bookies. There are bookies around the world that take bets on who’s going to win the US Presidential Election. (Not in the US, mind you, where it’s illegal.) Oddsmakers don’t mess around when it comes to accuracy on any topic, so if you want to know who people REALLY think is going to win – when the chips are down – the bookies are where you go. SO WHAT DO THE ODDSMAKERS & THE BETTING LINES SAY? Betting lines have Trump leading GOP at 5-4 w/ Rubio behind him at 2-1. After that there’s no contest with both Jeb Bush & Ted Cruz coming in at a distant 6-1. Sorry “feelthebern” progressives but Hilary’s blowing out Bernie at around 9-8 vs anyone else – including Sanders at 4-1. Bloomberg’s betting line just came out at a distant 33-1. Okay, it’s not that new since they’re into their 27th episode however it’s only been out for a few months and “Reasonable Doubt” is one of the first new podcasts that i’ve found fundamentally interesting enough to listen to every episode. Combine the legal mind of Mark Geragos, who you may recall as being on OJ Simpson’s dream team, with the sarcastic wit of Adam Carolla and you get non stop interesting conversation. add to that, that the reputations of these two bring in some interesting topics and guests. For example, they talk about the Netflix sensation, Making a Murderer, and invite one of the defending attorneys of steven avery to the podcast. They also address the Volkswagen situations and the potential for a class action lawsuit and what that means to the long term viability of the company. And this week Mark goes over a pro bono case he’s doing “Straight out of Compton” – literally, as he has to phone in to do his side of the podcast since he’s in trial in Compton. If you like interesting stories and understanding the legal angle on them, you really need to check out “Reasonable Doubt” with Mark Geragos and Adam Carolla. 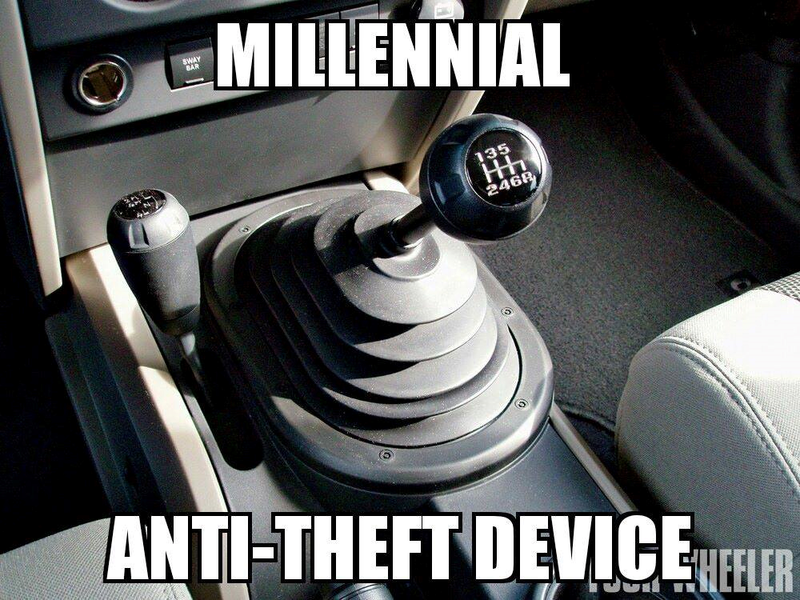 I LOL’d. Saving for posterity. I’m still laughing right now. I really started doubling over when we hit Antonio Banderas. What? You think I’m kidding? Andre Artunes is a god. What would happen if 10 of the most famous guitar players played Daft Punk’s Get Lucky together? Cover by Andre Antunes. What would happen if 10 of the most famous guitar players played Mark Ronson’s Uptown Funk (ft. Bruno Mars) together? Cover by Andre Antunes. I was a big “Mouse Without Borders” user which was an old Garage tool from Microsoft that is no longer supported or maintained. “Mouse without Borders” essentially allowed you to “extend” the reach of your keyboard & mouse so that you could use one keyboard & mouse for 2 or more computers. For example, if you have two computers side-by-side, when controlling the left most PC, by moving your mouse past your primary computer’s RIGHT edge, it would “continue” from the LEFT edge of the computer directly to the right of you. This is seamless usage of a single mouse & keyboard is accomplished over the network, wireless or otherwise, and even allows copying & pasting between computers. I’ve since found a few other interesting tools that accomplish similar things with displays. The one I use instead of Mouse Without Borders is EdgeRunner “Multiplicity”, which is NOT free however it is more reliable, encrypts all data over the network, and provides a “KVM” function that also allows you to redirect a remote PC’s display on your primary machine. I’ve tried some other tools as well like Synergy (which is cross-platform but didn’t work for me on Windows 10) and discovered some new ones. Here’s a couple I haven’t tried that accomplish similar display “tricks”. When I investigate them, I’ll write them up here. Or move this post to “production”. Saw this old post and decided to update it. For a while, I simply chose not to disconnect my slate so I never really noticed if I was still having the Blue Screen problem. About a month ago, I started removing the slate from my Surface Book and it’s been working 100% fine every since. I couldn’t tell you if it was DisplayLink driver related or some other driver/firmware upgrade that occurred in the past few months, but I can tell you that my slate now separately without incident and I didn’t have to take the device into the shop or get it exchanged. Apparently, there may be another reason for these blue screens. I’ve been told that if you use DisplayLink (connecting a second display using a USB connected port replicator) the DisplayLink drivers are notoriously bad. And since these drivers exist at Ring 0, and are tied to the USB ports, which are in the keyboard base – and not the display slate, this is something to investigate. I forgot that there were a new set of drivers that were released by Intel back in the latter part of December that reportedly fixes a ton of issues including blue screens related to the integrated GPU. So this may be a resolution as well that I have to investigate. My Surface Book has been crashing with a Blue Screen every so often when I disconnect or detach the slate or tablet component from the keyboard base. It doesn’t happen all the time. It seems to occur when the Surface Book has been on for a while and I’m in the middle of several activities. If I’ve just rebooted the Surface Book or just turned it on, the slate/tablet disconnects or detaches from the base without any problems. 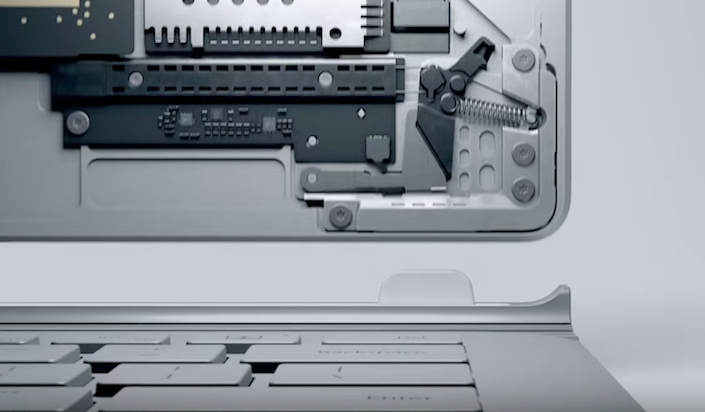 I hypothesize that the issue is the discrete Nvidia GPU in the keyboard base. I get the feeling that something about the disconnect with the discrete GPU (if it’s in use by an application) makes the machine go belly up. Disable Windows Hello & Facial Recognition – This uses the GPU heavily I believe. 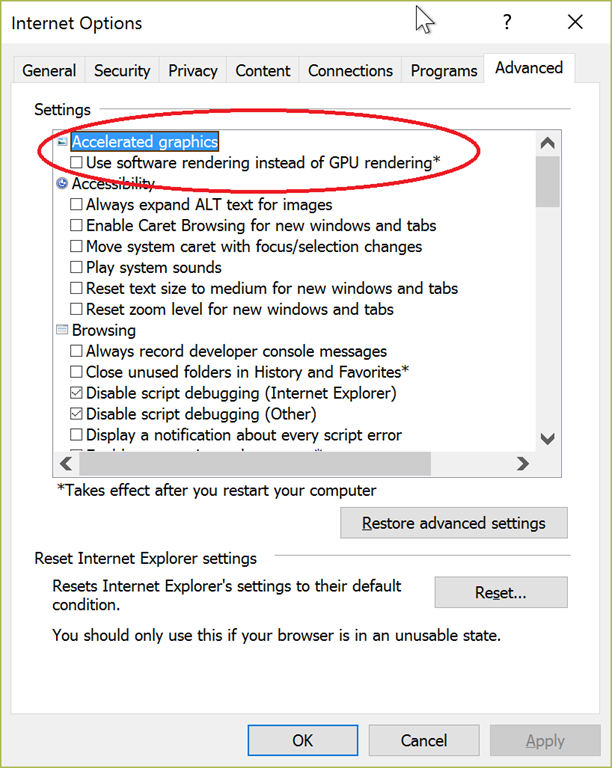 Disable hardware/GPU acceleration in Internet Explorer 11 – This obviously uses the GPU and depending on load, may switch to the custom Nvidia 940M in the keyboard base. I will post my results later when I’ve tested it. You are currently browsing the Kurt's Thoughts blog archives for January, 2016.